Coral RX has proven its worth time and time again. With new corals from so many different sources, whenever we dip our corals here at BRS we almost always find some type of pest or critter that we do not want in our tank. 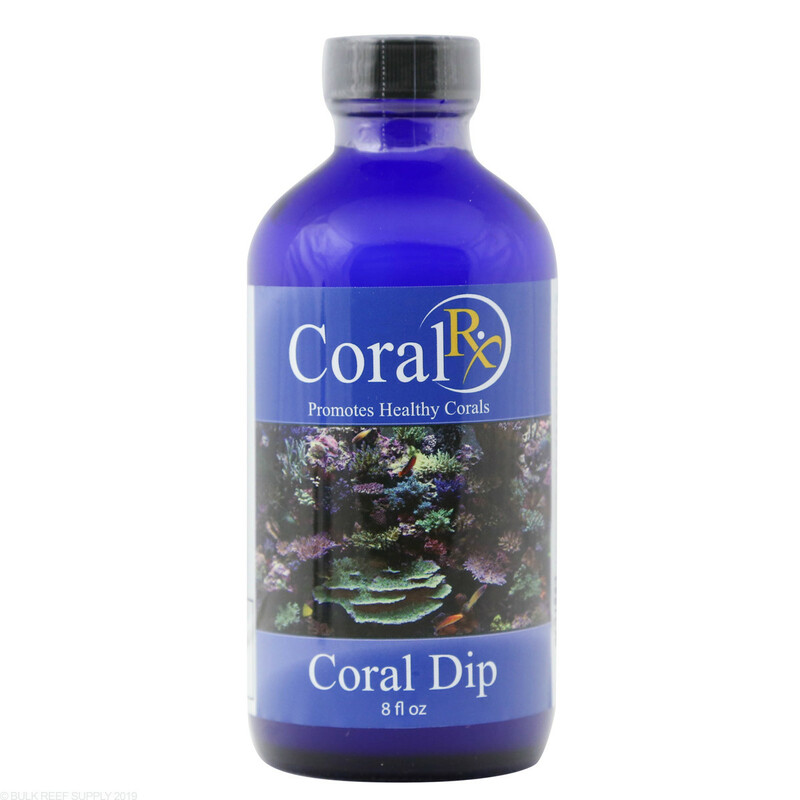 Coral Rx was developed to be safe for your coral while still eliminating parasites and bacterial infections. Independently tested for its efficacy. Contains no iodine or oxidizers. Follow instructions and do not add Coral Rx directly into your tank. Shake bottle of Coral Rx. Add 20 mL or 4 capfuls of Coral Rx to 1 gallon (3.8 liters) of saltwater from aquarium. Using a small powerhead, keep the water moving and place coral in the coral dip. If you do not have a powerhead, gently shake coral in the coral dip. Keep coral in the coral dip for 5 – 10 minutes. After 5 – 10 minutes, remove coral and discard the coral dip. Do not reuse the coral dip as parasite may release toxins. Rinse coral with clean saltwater and return to aquarium. You gotta dip, you gotta doodle, you need to use this product. Does the job it was meant to do. I would not put frags in my reef with out using it on them. I would recommend everyone to use it. Product price and service were excellent. My one issue is the size of the box used. You were not to know as normally this would not affect the shipping within the US but as I use a third party to ship to Australia and they charge based on cubic weight so a smaller, more compact box wouldve saved quite a bit of money. I am transferring corals to a new tank and don't want to bring over aiptasia. Will this coral dip kill aiptasia? Coral dips do not kill as much as they will stun. Aiptasia will physically attach to bases and whatnot, but will not fall off when stunned. For aiptasia we suggest using Aiptasia X or Joes Joice.